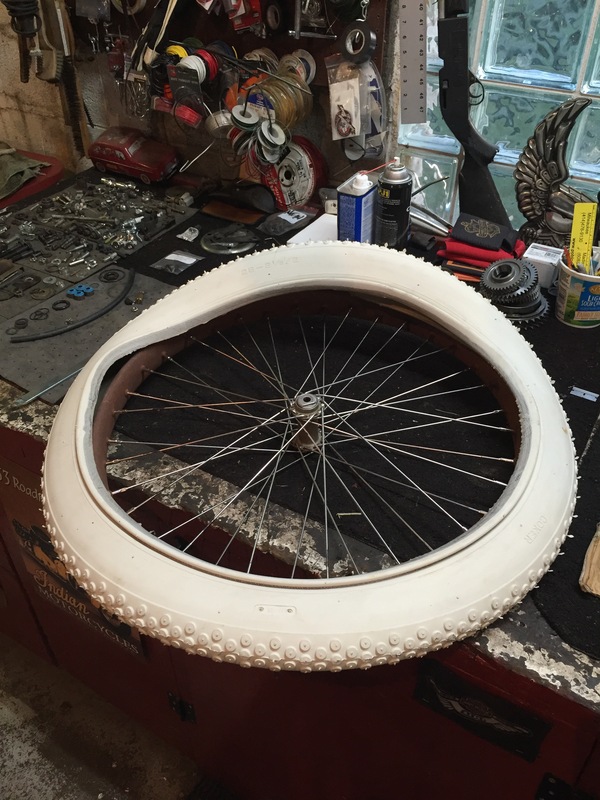 Front rim trued and ready for tire! – Tribbey motorcycle tales: 1911 Excelsior Restoration, Cannonball, and Cross Country Chase. Front rim trued and ready for tire! Front spokes done and rim is as true as it will get! Next is to install the clincher tire. Here it is 1/2 on. Next PostNext Handlebars still stubborn!